Who is ready for some more amazing holographic highlighters? 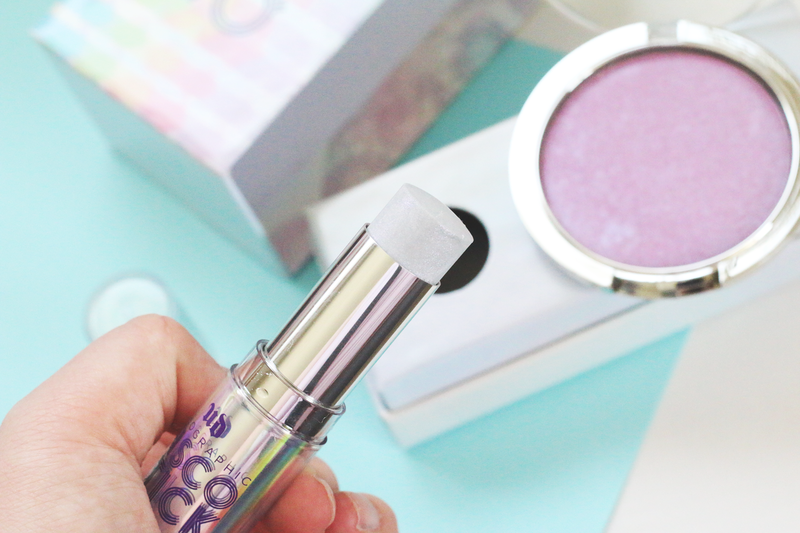 I am so excited to share with you these two new highlighters by Urban Decay. They came out with the Holographic Disco Stick Highlighter and the Disco Queen Holographic Highlight Powder. I feel like every brand has a holographic highlighter out now, but I feel like these two are a little bit different compared to some of the other brands. Urban Decay always has such amazing high quailty products, so these did not disappoint. 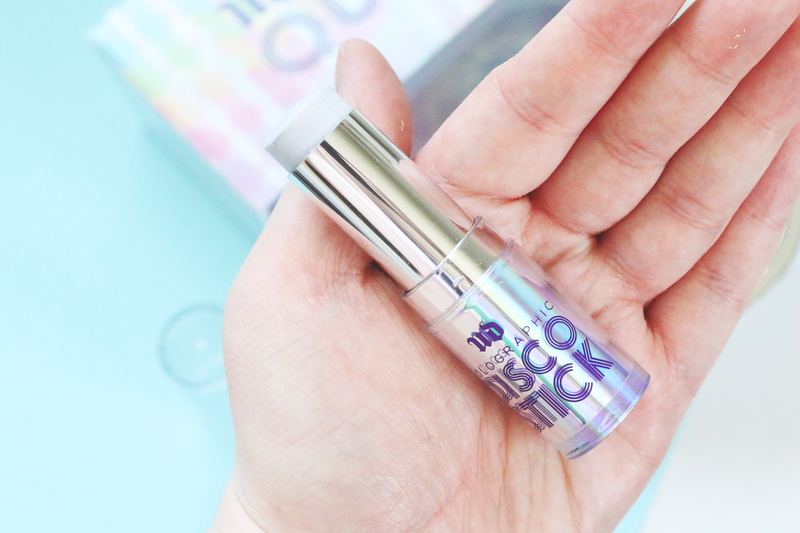 Holographic Disco Stick Highlighter- This highlighter has a beautiful iridescent to it. It also has a lot of glitter in it as well. It is a cream formula so when I apply this, I like to dab my finger in it and then apply to the top of my cheek bones. The swatches below does not do this product justice. It is seriously so stunning and has such a weight light feel to it. The texture is silky and blends out beautiful on the skin. This product retails for $26.00 and can be found at www.sephora.com. It also contains .21oz of product and is Vegan. 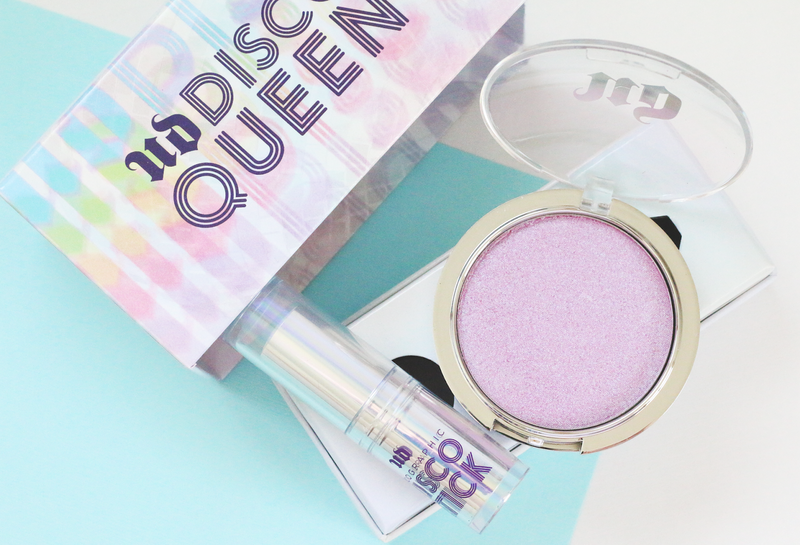 Disco Queen Holographic Highlight Powder- If you are a purple lover, you are going to love this highlighter! 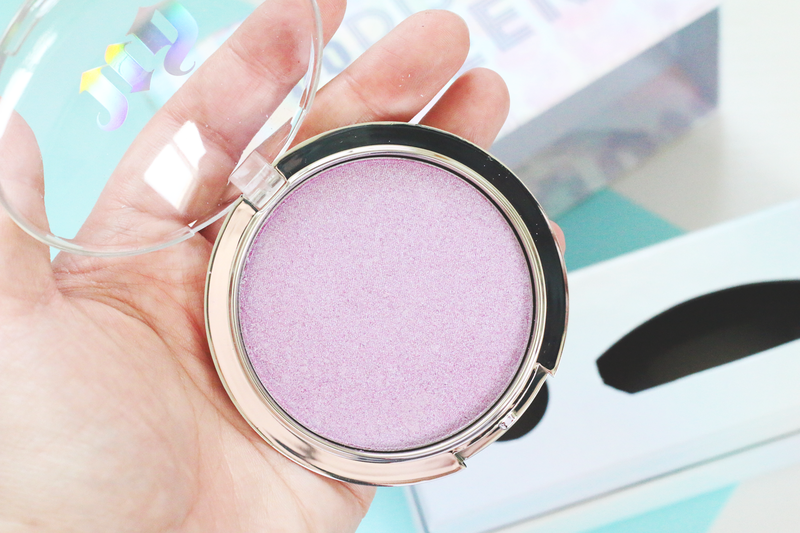 It has a beautiful iridecent to it as well, but it has a purple pigment! It is seriously so stunning. 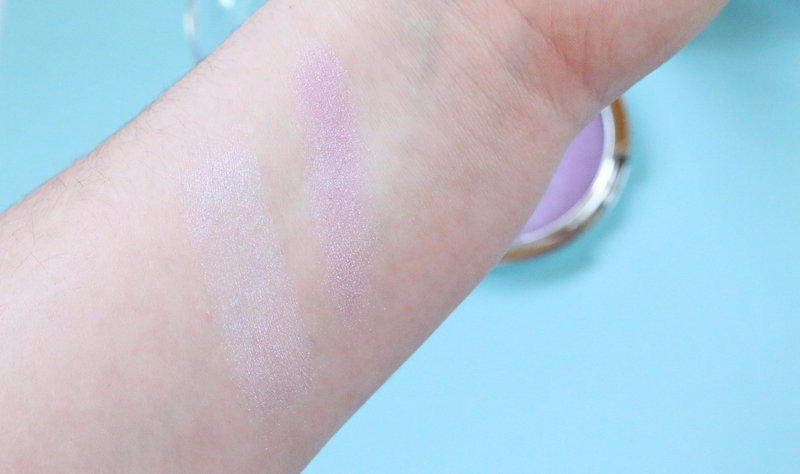 The powder highlight has more of a duo chrome finish compared to the stick highlighter. It has an nice butter texture. Even though it is a powder, I prefer to apply this using my fingers as well. I find it blends out a little better with my finger. And if you want an even more intense highlight, you can place the stick highlighter on top! This product retails for $29.00 and can be found at www.sephora.com. It also contains .31oz of product. I would love to hear your opinions on these highlighters. I think they are beautiful and they can make any makeup look pop. With Spring coming up very soon, I will be using these a ton.